Antigun activists seek to dispossess the civilian population of this Country of their firearms. That is the reason for their existence. That is the reason for their being. They will deny this of course. They will tell you they don’t want to take all your firearms away, just some of them. They will also tell you they don’t want to prevent every American citizen from owning and possessing firearms, just some of them. But, when pressed, they will admit they abhor firearms and they will tell you that, in a civilized society, no one needs firearms anymore, anyway. They will also tell you that law-abiding, rational citizens today may become lawless, rabidly insane tomorrow. That is highly improbable, ridiculously so, even if only logically possible in a philosophical sense. But mere possibility is enough, for antigun proponents and activists, to support the elimination of civilian firearms’ ownership and firearms’ possession. Those who espouse the elimination of firearms would like to see civilian ownership and possession of firearms relegated to the dustbin of history. They hope that guns, as with buggy whips and corsets, will become merely a distant memory. But, there is one hitch to the antigun activists’ goal and that hitch is the presence of the right codified in the Second Amendment to the U.S. Constitution, as categorically affirmed by the high Court in the landmark Heller and McDonald cases. The Bill of Rights and U.S. Supreme Court rulings prevent antigun legislators from instituting wholesale confiscation of guns in the vein of the Australian scheme. So, antigun proponents in this Nation employ an incremental approach. Instead of banning firearms en mass, they attempt to ban categories of guns. The National Firearms Act of 1934 made possession of machine guns and “sawed-off” shotguns illegal. In fits and starts, many semiautomatic weapons, called “assault weapons” by antigun proponents, have become illegal for the average American citizen to own in several States. Antigun legislators also expanded and wish to continue to expand the domain of individuals who cannot lawfully own any firearm. With the murder of students and teachers at the Marjory Stoneman Douglas High School, in Parkland, Florida by a deranged gunman, antigun activists immediately began to harness public outrage at the senseless deaths. Antigun activists directed public anger toward the activists’ perennial favorite targets: guns, gun owners, gun manufacturers and dealers; and toward their arch-enemy, the NRA. Antigun groups might have reasonably directed public anger at Hollywood for producing movies filled with gratuitous, horrific violence and carnage. They didn’t. And, they could have directed the public’s wrath toward manufacturers of violent video games. They didn’t. Nor did antigun groups look at the cultural milieu in which we live as the true root cause of violence in our Nation: broken homes; illicit drugs; criminal gangs running amok; moral relativism; multiculturalism; historical revisionism; bizarre social constructs; gender dysphoria, a mental disorder, masquerading as mere “life choice;” and the rise of atheistic and socialistic tendencies in this Country, belief systems that are incompatible with natural law and incompatible with the idea of a Divine creator in whom an effective normative ethical system derives. No! It is far easier, although absurd in the contemplation, to direct public anger at an inanimate object, the firearm, and toward the NRA, and toward any person or business entity that espouses support for the right of the American citizen to keep and bear arms. One tactic antigun activists employ recently to achieve their ends is the “political boycott.” The way it works, is this: antigun groups attack companies that have partnership arrangements with NRA. Some companies, for example, offer discounts to NRA members. 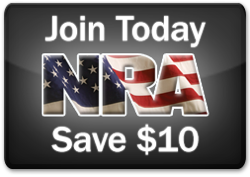 Antigun activists have coerced companies into ending programs offering discounts to NRA members under threat of economic ruin and public shame and condemnation. The purpose of these political boycotts is expressive and coercive, not economic. Antigun activists seek social and political change here, not economic benefit. The use of the political boycott invariably has a First Amendment free speech component, but even those who support the use of political boycotts recognize its danger. “Boycotts are indeed powerful. They do, in fact, have the ability to exact real-world, human costs from those businesses and individuals targeted. The concern over boycotts exists because they have consequences that might have the potential to extend outward from their target to impact a boycotted business’s employees or community.” Democratizing The Economic Sphere: A Case For The Political Boycott, 115 W. Va. L. Rev. 531, 534 (Winter 2012), by Teresa J. Lee. Scrutiny of both motives and effects of using political boycotts to achieve political and social ends is warranted, lest our rights and liberties be destroyed. Keep in mind, too, that the political boycott is not merely utilized by antigun activists to harm the NRA; it is an attack on the NRA members, American citizens. Basically, NRA members have their own First Amendment right of free speech, as expressed in their support of the Second Amendment. The political boycott is used by antigun activists, and is meant to be used by antigun activists, to squelch free speech. This is an impermissible coercive use of the political boycott. “To be protected under the first amendment, the boycott advocates’ appeal to their listeners must be persuasive rather than coercive. The distinction is crucial. Persuasive speech has always been accorded the highest first amendment protection on the theory that the free flow of ideas is central to our democratic system of government: ‘the best test of truth is the power of the thought to get itself accepted in the competition of the market.’ By contrast, speech that deprives its listeners of freedom of choice, i.e., coercive speech, distorts the marketplace of ideas by causing listeners to accept an idea not for its ‘truth’ but to avoid some sanction. Coercive speech also undermines the political process, since a democratic society depends upon the autonomy of those who publicly espouse a point of view and of those who listen.” Secondary Boycotts and the First Amendment, 51 U. Chi. L. Rev. 811, 825 (Summer 1984), by Barbara J. Anderson. There is, though, no autonomy between those who publicly espouse the elimination of civilian gun ownership, ergo de facto repeal of the Second Amendment to the U.S. Constitution, comprising antigun activists, antigun legislators, antigun billionaire Globalists, and members of the mainstream media who shriek at and attempt to cajole into submission, the American public and businesses, the listeners, who may happen to harbor contrary views. These antigun influences, some domestic and some foreign, intend to speak to and for the American public and for the business community. For companies that do not willingly accede to the antigun agenda, the political boycott operates as a club to coerce compliance with that agenda. The political boycott is not used here as a mechanism meant merely to persuade. The political boycott is as well, a club wielded against NRA members. Antigun proponents ostracize Americans who are NRA members. But, NRA membership is a legitimate First Amendment expression of one’s Second Amendment right. By attacking a citizen’s membership in NRA, antigun forces seek to control speech, crushing dissent. In a free Republic this cannot be countenanced. NRA members should challenge these boycotts. ALERT: CONTACT YOUR REPUBLICAN REPRESENTATIVES IN CONGRESS NOW! Tell Congress to enact laws to prevent antigun groups from coercing and threatening retaliatory action against companies that do not adopt the groups’ political views.